Owning and managing a business requires a lot of hard work and attention when it comes to hygiene and safety, especially those who deal with food processing or the restaurant industry. This is why your kitchen staff and other employees involved in the production and presentation of food needs to wear appropriate uniforms and clothing. Business owners have varying opinions on what their general staff should wear, but there is a common consensus on what constitutes the ideal uniforms and clothing for food handling and kitchen staff. We tell you why smart uniforms makes smart business sense in more ways than one. Most of the general public thinks that uniforms serve no other purpose other than a fashion statement, but this is not the case, especially when it comes to the restaurant and food preparation industry. We here at Alsco know what uniforms go through every day as we deliver fresh and clean clothing and receive dirty laundry from our customers. The stains and wear and tear that these uniforms go through are unbelievable. This is why our Food & Beverage workwear are made up of durable fabrics and not to mention that you can also choose a variety of fitted or loose styled coats. All of our workwear meets the strict standards set by the Food Industry Standards Australia New Zealand that make sure that your staff get the best protection, the clothes suffer the least from wear and tear as well as stains and wrinkles. Speaking of choice, we also offer a wide variety of cutting edge and generic brands of workwear that range from chef and waiter’s jackets to chef pants and aprons which can all be customised with your restaurant’s logo. If you want to know more about our wide selection of Food & Beverage workwear for your restaurant business, just call 1300 659 982 or use our contact form to speak to one of our representatives for an enquiry. Another key feature of our restaurant and kitchen workwear is that they use materials that protect you from the dangers of the kitchen such as extremely hot liquids from food preparation and cooking, heat radiating off of the stoves and ovens, and of course protection from fire as well. The restaurant and kitchen workwear are also designed in a way that makes it so that the staff wearing them are less prone to accidents in the kitchen. Tight-fitting long sleeves so that they don’t accidentally catch fire when cooking or dip into the food itself. Able to quickly and easily wear and undress the aprons, coats, and chef jackets so that they suit your needs when working in the kitchen without spending too much time adjusting them. Easily washable and more durable than regular restaurant and kitchen workwear thanks to different high-quality fabrics used. Aside from catering, the restaurant and kitchen industry, we here at Alsco also provide workwear for the food production industry with our wide variety of high-quality garments that we deliver to our customers. Our food industry garments also adhere to the Food Industry Standards Australia New Zealand by providing garments that use high-quality fabrics and cutting-edge designs that make it both safe and comfortable to use for your staff. Alsco’s food industry garments are made up of polyester and cotton blends which make it both lightweight and durable which is what your staff needs when handling any kind of food or meat preparation. Another key feature is the very safe design of the garments that includes cuffed sleeves, internal pockets, and no external buttons which all make to minimise any kind of contamination when working. Did we mention that we also offer colour-coded workwear to avoid any kind of cross-contamination when handling any food or sensitive material? This makes it easier for you to know which of your staff or workers are assigned to which area or what are their responsibilities such as handling different kinds of meat and so on. Our food industry garments can also be used in the pharmaceutical industry because the workwear features a static dispersant coat that is lint-free making it specially designed for a cleanroom environment. You too can make sure your products are clean, safe, and uncontaminated by using the services of Alsco Uniforms. Delivered freshly laundered to you week-after-week, as per a pre agreed schedule, keeping your workers looking great and feeling safe. Even though we pride ourselves on the quality of the workwear we are offering, we still understand that every business has an allotted budget for these necessary tools. The great news is that Alsco’s managed rental program gives you all the benefits mentioned above at an unbeatable cost. There is no capital outlay required when opting for our rental service program and not to mention they are tax deductible as well. You can even go as low as $1/day on various workwear that we are offering. We also include additional services aside from supplying your business with restaurant workwear such as an inventory management system which allows you to easily manage and check all the items which saves you a lot of time. Another time saving service included is our regular, agreed delivery schedules which can be very flexible thanks to our reliable customer support representatives who are always ready to hear your business concerns and demands in regards to our services. 45,000 Australian businesses trust Alsco for their services. This number continues to grow as we further expand our services in the region and different industrial sectors. 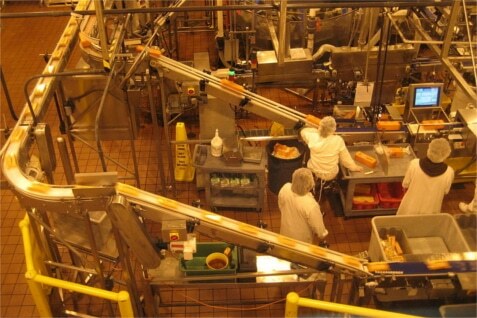 We have a lot of experience helping restaurants, food processing business, and pharmaceutical businesses. Don’t take our word for it. Here are a couple of testimonials from the businesses we have helped throughout the years. “I have used Alsco for my table linen for 3 years. During this time I have found them to be a good & reliable company.” – Andy Gray, Owner/Chef of Bel Cibo. “Being a small local business I have found the personal interaction to be most satisfying and would have no hesitation in recommending you.” – Roy Thomas, Planning and Services, Ashgrove Farm Cheese. As you can see, we don’t only supply our customers with various materials and equipment but we also help them anyway we can so that their business can get what they need without sacrificing their quality and efficiency. Get durable and stylish uniforms at affordable rates with the Alsco Rental Service Program. Just call 1300 659 982 to make an enquiry on how your business can acquire high-quality uniforms and workwear for your staff.